UPDATE 2: Here’s a couple of GIF images showing HBAO+ and the FleX based weapon debris in action. UPDATE: NVIDIA reached out to us in order to clarify that the technology used for the new weapon debris effects is NVIDIA FleX. You can read a lot more about it here. ORIGINAL STORY: Bethesda has just posted the changelog for the latest Fallout 4 update (1.3), and there’s quite a few interesting items in the list. For instance, there is now a new ambient occlusion setting for HBAO+ (the technology developed by NVIDIA which is however available on AMD cards as well). Moreover, Bethesda added new weapon debris effects in this Fallout 4 update and specified that these will be NVIDIA only. It seems likely that they are based on NVIDIA’s PhysX, though there is no such official confirmation yet; we’ll update this story once we have screenshots and/or videos of the new effects. Keep in mind that this is a beta update, so you’ll have to follow this procedure in order to try it right now, and the developer also recommends to back up any saves before trying it. 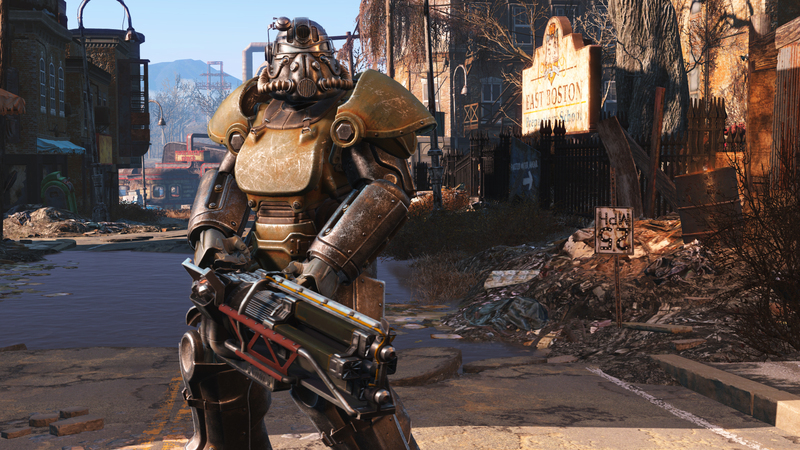 In case you’re still pondering whether or not Fallout 4 is worth buying, you may check our full review of the game.